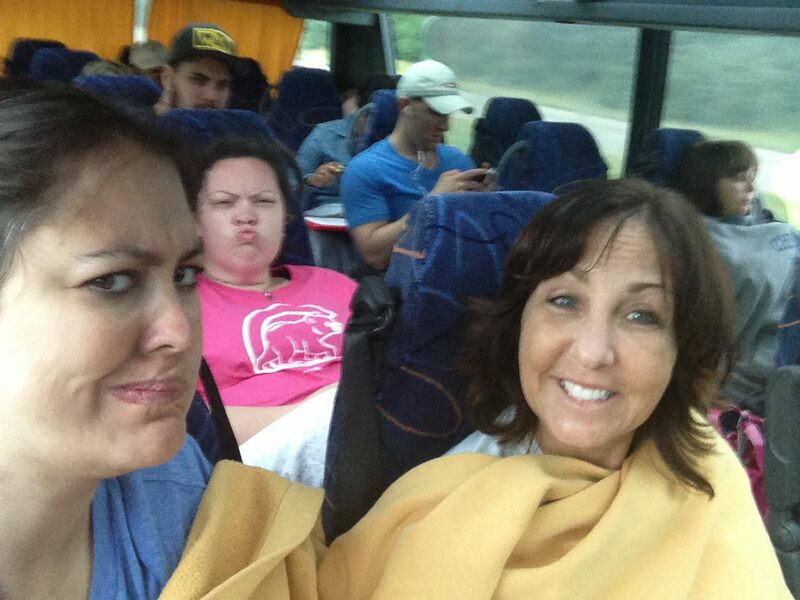 For the Nashville sisters, the trip started late Thursday night when they boarded the Megabus for an overnight excursion through Louisville and Indianapolis before the final destination of Chicago. I’m pretty sure that time paused on that trip, and the trip was much longer than 9 hours. If customer service is a high priority for your experience, then Megabus is not for you! 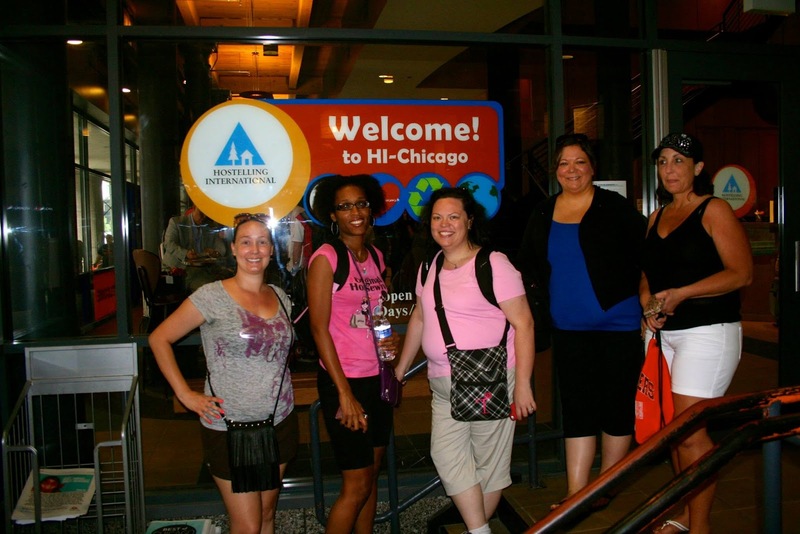 Since the trip seemed to be all about new experiences, the Nashville ladies didn’t go for just any regular hotel experience, they took a chance on a hostel experience (not to be confused with a hostile experience) and stayed at Hostelling International Chicago. It was like summer camp all over again with 8 girls stacked in bunk beds in one room. There may or may not have been some falling out of bunk beds, some indiscriminate videos and snoring. We all took the Full Moon Vow again, so we’ll never tell! Just about every mode of transportation was used when traveling the city, including bus, cab, train and trolley. The ladies quickly discovered that there are many interesting characters that can be encountered when using public transportation, which usually lead to humor more so than fear. Of course, there is usually safety in numbers. Friday and Saturday included lots of shopping on Michigan Avenue and State Street, including visits to Water Tower Place and Marshall Field & Company, the second largest department store in the world with 12 stories, including the 5 story Tiffany & Co. mosaic-capped ceiling. Our sightseeing adventures included visiting The Cloud Gate (better known as The Bean) and Crown Fountain in Millennium Park, a walk along Lake Michigan to Lincoln Park and the Lincoln Park Zoo, a Chicago Architecture Cruise on the Chicago River, a trip to see Wrigley Field and an evening of ferris wheels (not carousels) and fireworks at Navy Pier. There was also much walking done on the weekend, and by the time the Nashville ladies arrived home Sunday night, they had taken over 47,000 steps, which is about 20 miles. Several of the ladies had well-deserved pedicures and massages the following day. The weekend was not without lots of great food. We dined at Ed Debevics, where the servers are over the top and rude…on purpose. We also shared delicious Chicago-style pizza with the other chapters at Lou Malnati’s in the historic Gold Coast district. Saturday evening we got our Cajun fix at Heaven on Seven where several sampled some of the most delicious grits on earth. Our last meal together in Chicago was at the Grand Lux Cafe and included sharing Mimosas, Bellinis and some very large portions of French Toast. Shortly after brunch on Sunday, the chapters bid farewell to each other and went back to their respective cities. It was a fabulous weekend spent making new friends, experiencing new adventures and capturing great memories. Plans were already discussed for future gatherings of the chapters, and I know I am looking forward to more trips together! 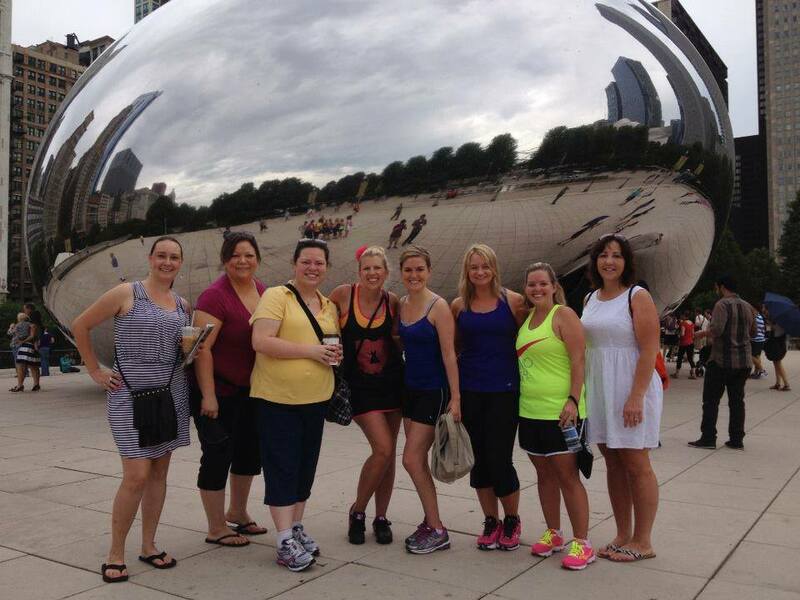 "After the Columbus chapter did Pilates in Millennium Park they went to the bean. Who did they run into but Nashville ladies! Columbus was very into shopping and collectively got 6 pairs of shoes, 5 purses, and too many dresses to count!" "I loved having LBDC members from Nashville, Ohio and Detroit join us in the Windy City for an amazing weekend! LBDC provides us with these unique opportunities to meet fabulous ladies, who we may otherwise never cross paths with. I'm already looking forward to our next road trip." "Meeting lots of great new people, sightseeing, EATING and shopping shopping shopping!! What a blast!" 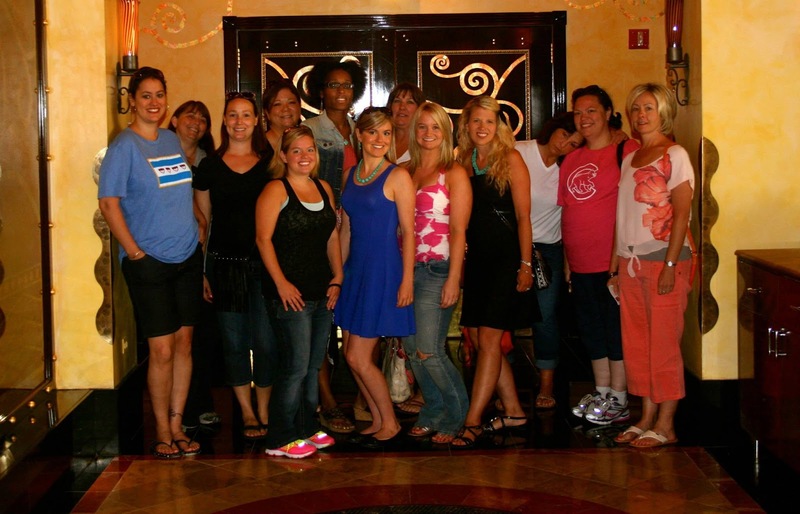 “Spending 4 days with these women really gave me a chance to get to know them all a little bit better. I can't imagine my first trip to Chicago being with anyone else. Laughing, trying new things and making memories; that's what LBDC is all about." “Seeing my city, the city I was born & raised in, through the eyes of tourists was an incredible event for me. 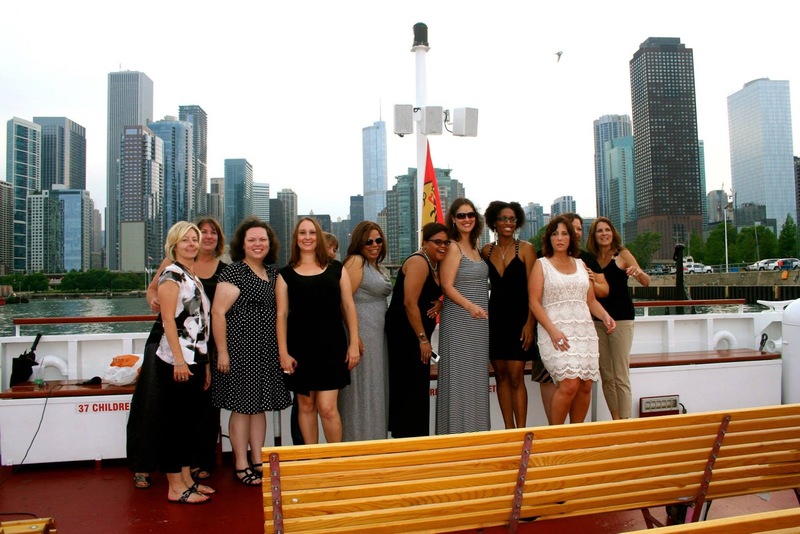 I was amazed at how well all of these ladies were able to navigate our great city of Chicago. This is a testament to what kind of women LBDC women are; independent & fun loving adventurers!! I would love to visit their cities next!! 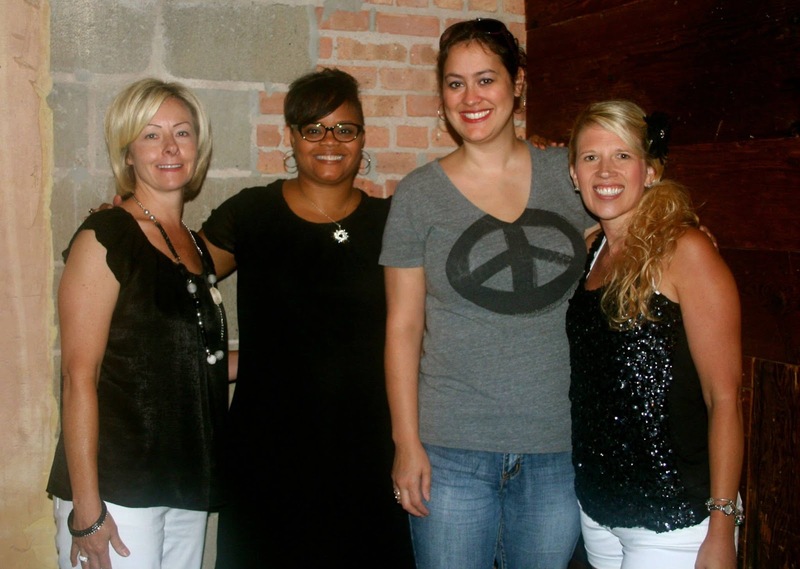 "This was a wonderful way to be introduced to the LBDC! It was a great trip!" The Little Black Dress Club is the premier women’s social network specializing in adventure, sophistication and friendship! Our diverse membership includes women who share a common spirit and a taste for the finer things in life! We enjoy activities such as themed dinner parties, casual happy hours, fashion shows, adventure and beach vacations, and celebrity book signings. We boast a penchant for “out-of-the-box” ideas and our generous contributions to charity. Our members are recognized for their class, intelligence, and grace as well as their willingness to try new things! Being a part of something truly unique and special is as easy as throwing on a little black dress!